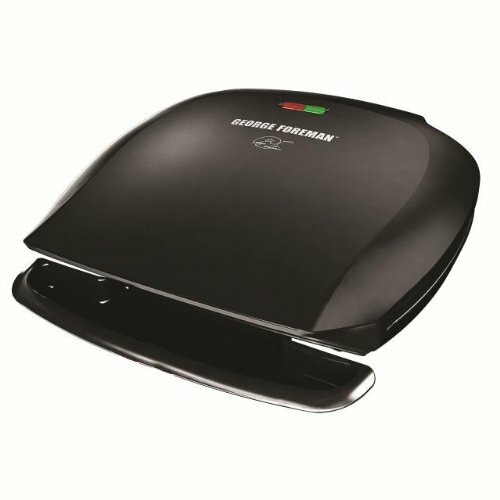 This George Foreman indoor grill and Panini press has 80-square Inch of grilling space, so you can cook up to 5 servings at once. 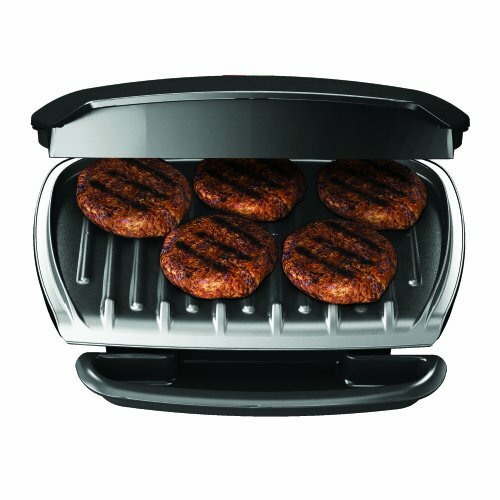 The dual cooking positions and adjustable cooking height let you cook a variety of thick foods from burgers to steak and chicken to Panini's. 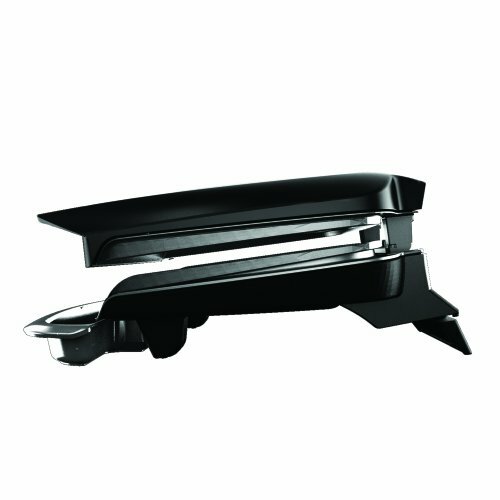 Thanks to the George Tough Nonstick Coating there is no need to add oil or butter to your grill and the patented slope design helps eliminate fat and grease as you cook. This grill even has the convenience of vertical storage.